In this guide to planning and designing a kitchen, we will look at the key elements of successful kitchen design and look at what it takes to create a space which is both functional and beautiful. Before looking at the design in detail, the first step is to establish a design brief and find the right designer to help you with the project – one who will understand exactly what you would like to achieve and help you realise your vision. First and foremost, when trying to create a brief try to visualise what type of style you would like to achieve. Do you prefer traditional details such as panelling and mouldings or are you leaning towards more of a clean-lined contemporary look? It is important to consider the type of architecture of the property – for example, if you live in a modern build apartment then traditional details may look overly fussy in the space and likewise, if you live in a Georgian manor house then a contemporary look might not sit as well against the architectural features of the property. Use images and past project examples to help inspire ideas. Online sites such as Pinterest, Houzz and Instagram are full of content which is updated regularly so you will never fall short of new kitchen design ideas. Pinterest and Houzz can work as a virtual ‘scrap book’ – you can save all your favourites in one place at a simple click of a button and use them to refer back to when showing them to other people. Houzz projects will often show details of where products are from and where to source them which can put you one step ahead in the design process. Magazines are another one of the best ways to look for ideas. 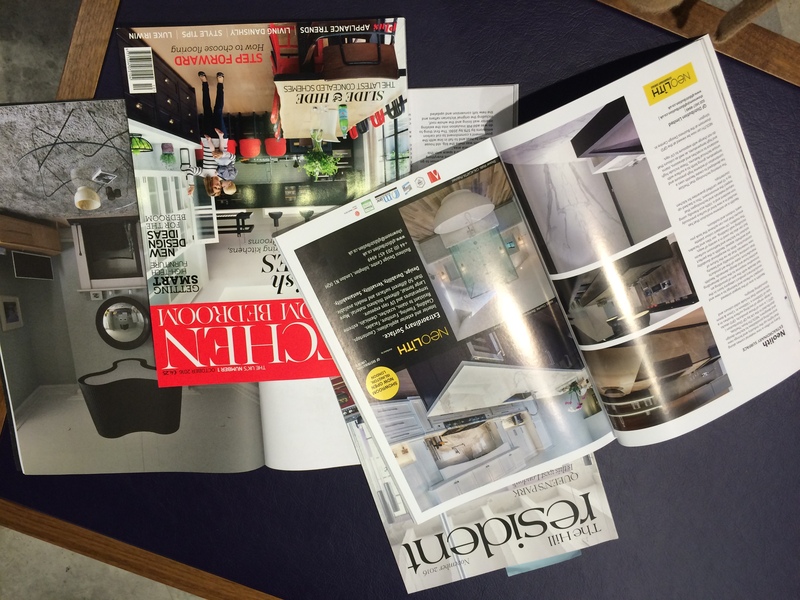 Specialist kitchen design magazines such as KBB and Utopia are packed full of projects for inspiration and useful advice from experts. Interior design magazines such as House and Garden or Elle Decoration are wonderful sources for interior ideas and new products and can help guide you when it comes to choosing a style you like and a base for choosing a colour palette. Once you feel you have a starting point of what you like style-wise, it is a good time to arrange an appointment with a designer. 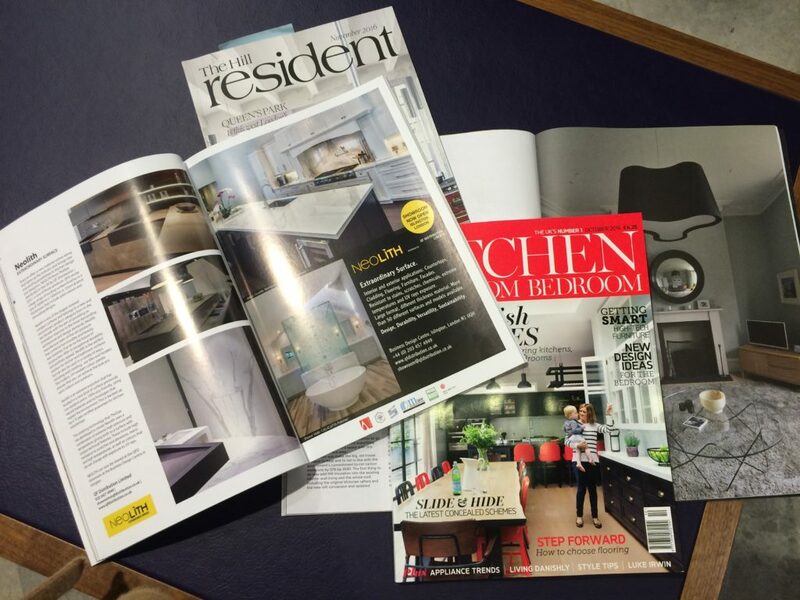 Visiting specialist kitchen showrooms and getting a feel for the displays is a good way to get chatting with a designer and find out about the type of service they offer. The designers should be open and friendly and readily offer advice and show you how the displays work. McCarron & Co have two London showrooms, both spread over 2 floors and so there is plenty of inspiration on hand and an experienced design team who are ready to help guide you through the design process. 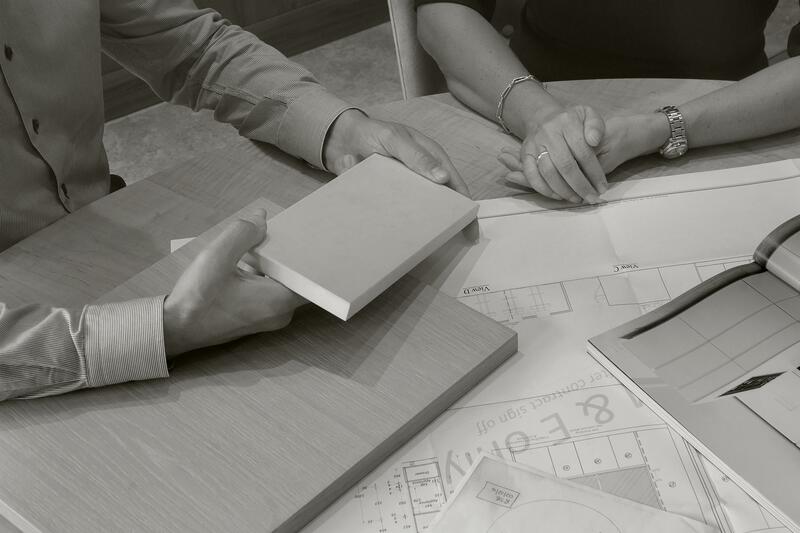 Our designers are always on hand to offer friendly advice, discuss options and give you lots of pointers to get you started. At this stage, if you feel comfortable with the designer then it is a good idea to book in a detailed consultation to discuss your ideas in more depth. As a guide, we usually allow around an hour to an hour and a half to listen to your ideas, discuss some options and can start to guide you in the direction of choosing appliances, finishes and hardware that suits your needs and will fit in with the style of project. This will give the designer enough information to be able to start to put together a design package to suit your needs. After the design consultation, the designer will either arrange a time to measure up on site or alternatively can work from architect plans. When some projects have not even been built yet we understand that a site visit is not always appropriate! From this point onwards, the exciting stuff can begin to happen! The designer will start to draw up plans and elevations, ready for you to see at the next meeting and will be able to guide you towards the next stages in creating your perfect kitchen. Next up in our online guide, we will look at how to decide on appliances and things to consider when making your shortlist. 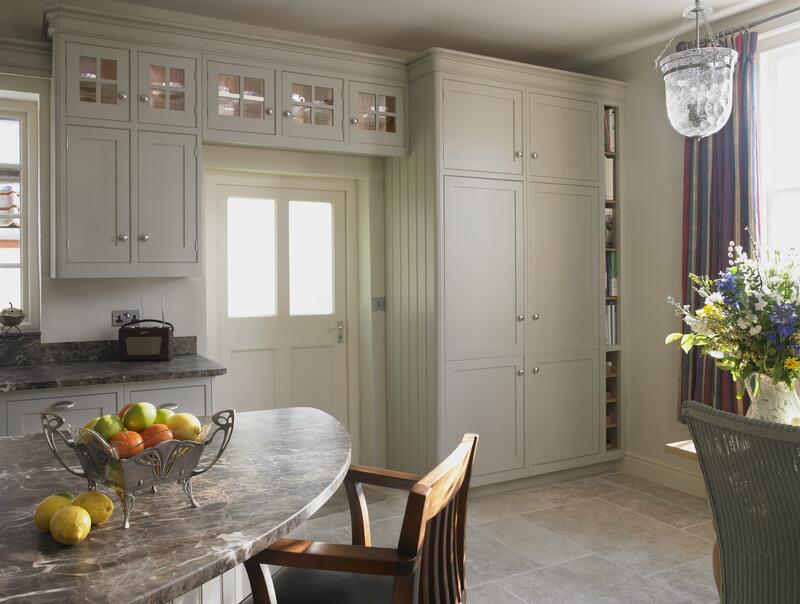 Keep following our news page for regular updates and advice on kitchen design and bespoke furniture production.